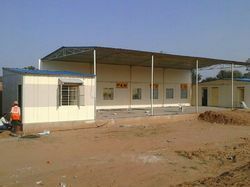 Manufacturer of a wide range of products which include p and m workshop. Leveraging on our rich experience in this domain, we are able to cater the customers with P and M Workshop. Fabricated in accordance with the latest market trends, our range is widely appreciated for its easy installation, user friendly designing, longer service life and world class quality. We offer this range in standard and customized variations after making an accurate calculation of client's budget and particular requirements.